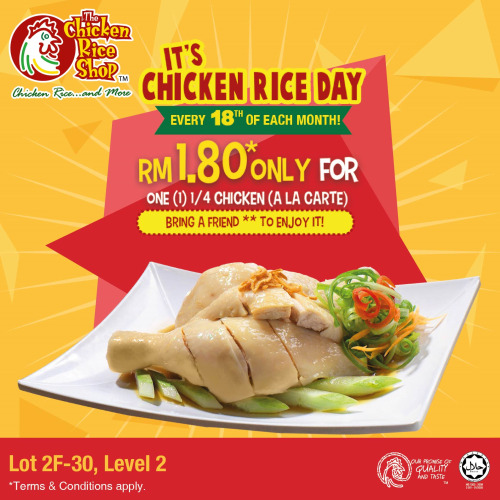 It's Chicken Rice Day on the 18th of every month at The Chicken Rice Shop! Dine in with us on the 18th and feast on one (1) ¼ chicken (a la carte) for just RM1.80! * So mark your calendars and bring a friend to enjoy it together!